Harry Welch came to Linton in 1915 from the Prairie Creek area, purchasing the undertaking firm of Humphrey's and Schloot. The business was located on South Main Street in Linton, until 1932, when he and Floyd Cornett formed Welch & Cornett Funeral Home, Inc., one of Indiana's earliest corporations. They purchased the home and office of the late Dr. Thomas, which had been vacant for several years. They moved to the funeral home's present location in 1933 after extensive remodeling. The partners hired a local boy, Marvin Taylor, in 1933, who later went to mortuary college and came back to work for them. Delmar Hasler, from Switz City, IN, came to work for them in 1948 after completing mortuary school that same year. Harry Welch died in 1959, and Cornett, Taylor and Hasler carried on the business. 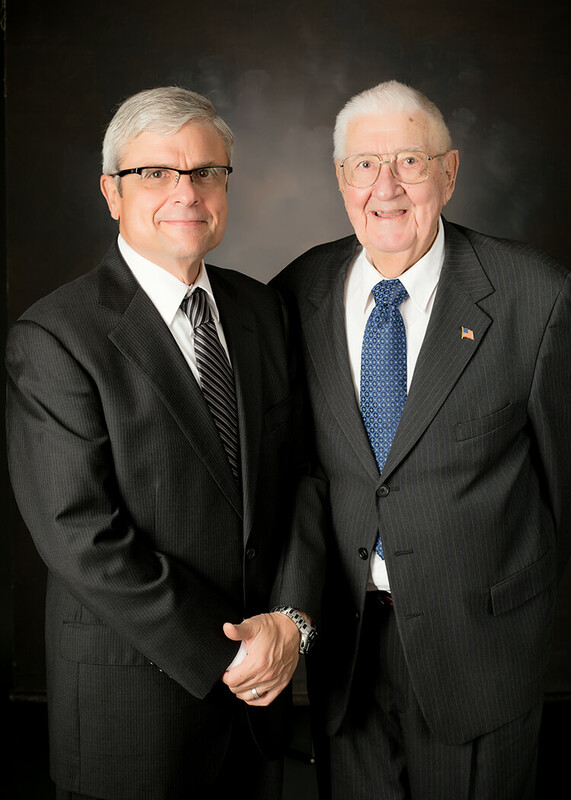 When Floyd Cornett retired in 1965, Taylor and Hasler purchased the funeral home. Once the area hospitals began their ambulance service, Taylor and Hasler quit the ambulance portion of the business in 1974. They operated the funeral home for several years together until Marvin retired in 1976. Rod Hasler joined the firm, and the Hasler family purchased Taylor's portion of the business. Then they bought the Myers Funeral Home at Worthington in 1978. The funeral homes were owned by the Haslers until January 1, 2004, when long-time employees and licensed funeral directors, Vern Spoor of Worthington, and Todd Walton of Linton, purchased the business. Todd and Cindy then purchased Vern and Gia's part of the business on April 1, 2014. Delmar Hasler still helps out when he can. The Linton and Worthington funeral homes have collectively served the area for over 193 years. Welch & Cornett Funeral Home in Linton is celebrating 101 years of Compassionate and Professional Service that Harry Welch began there so long ago. We are proud of this heritage and honored that so many have placed their trust in us throughout the years. As an independently family-owned funeral home, we will continue this fine tradition as we strive to meet the needs of the families.